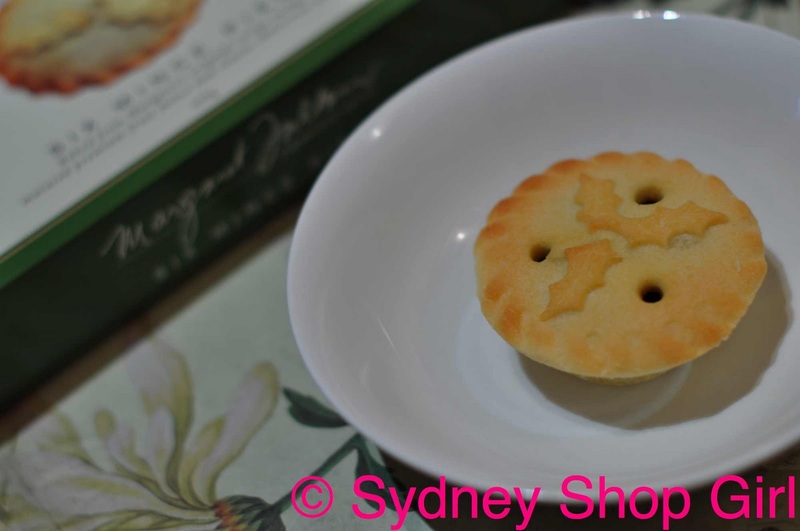 Sydney Shop Girl: The First Fruit Mince Pie of the Season. Dog boxes. The First Fruit Mince Pie of the Season. Dog boxes. Mr SSG and I were up at the crack of dawn with the bin men this morning. I raced down the driveway in my fruit tingle striped pyjamas and balanced a 6 pack of beer on each bin (each in a plastic bag of course) and raced back to bed. Together, we perched on the edge of our bed and peered out at the gate from our front bedroom window. The creaking brakes and the whirring acceleration of the garbage truck got closer and closer to until it creaked especially long and hard at our gate. The passenger door of the cabin sprung open and a flash of fluorescent lime leapt out. There was a clinking of glass and a rustle of plastic bag. 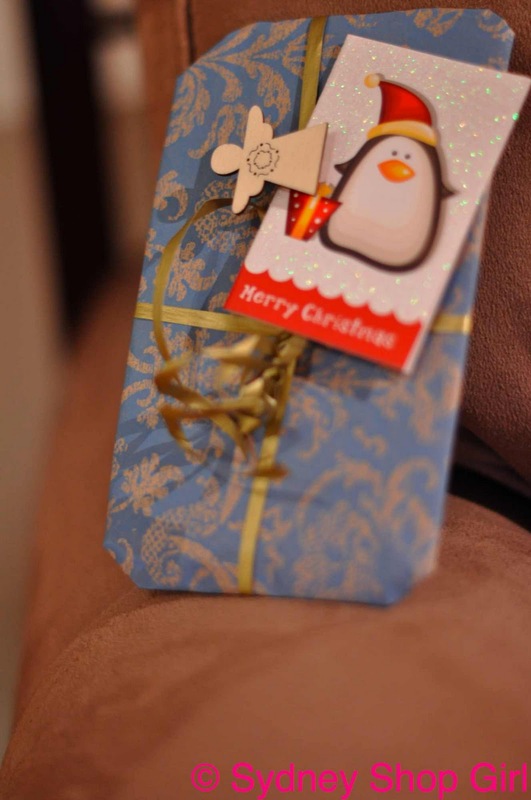 Our present had been delivered safely. Mr SSG (who 'doesn't really do Christmas) and I turned and smiled at each other. I think the Spirit of Christmas has definitely made its presence felt in SSG Manor. At last. I know it's irrational, but each year, December comes out from nowhere and blindsides me. I'm fine for the first 5 days, perhaps a little too complacent, in hindsight. Then we get a week out from Christmas Day (or the day I have to fly back home for Christmas) and I panic that I'm not feeling Christmassy enough. There's a few events that get me in the mood. The beers for the bin men, making a dish for Christmas lunch at work and well, it wouldn't be the Sydney Shop Girl blog if shopping wasn't mentioned. Saturday is still locked in as the Official 2010 SSG Christmas Present Shopathon but I got in early tonight and knocked a few gifts off the list. A silver charm bracelet from Witchery for my brother's girlfriend and casual shirts from Country Road for my middle brother and my dad. 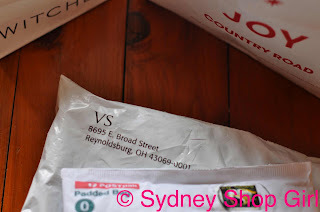 My bathers from Victoria's Secret also arrived, I'll chat about them some other time. I think they'd be good for a Friday night kind of post. And a lovely gift from Carly Findlay as a thank you for my guest post. Thank you Carly, it was a great honour to be able to guest post. Happy Bloggiversary!! I'm not opening my present until Christmas Day. It's 9 days out from the 25th and I think it's about the right time to get started on the fruit mince pies. A perfectly acceptable alternative to fresh fruit after dinner on December 16 2010. Microwaved and with a scoop of vanilla icecream. This was a Margaret Fulton fruit mince pie from Coles. Full marks for the fruit mince. Warm pastry always tastes good with ice cream. The acid test will be when I eat tomorrow's pie cold for afternoon tea. After Mr SSG's star turn in last night's post (complete with his hot pink ear plugs), he regrets to inform all of you that he's out for the evening. It's his work Christmas do. In his absence, I'm sure he won't be upset if we all settled down to watch this video about dog boxes before getting to our comfy beds after having had a warm and relaxing shower as opposed to waiting up for him. 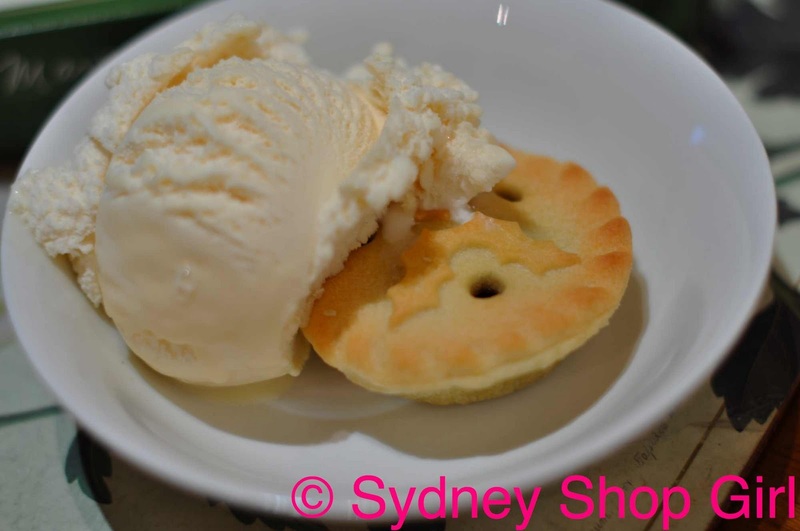 Its nice to see you guys do mini mince pies too...never heard of having it with ice cream though. I have never given our garbage collectors beer gifts...what a thoughtful idea that Mr. SSG has generated. Have a great weekend SSG. Bakers Delight pies are awesome too. Thanks so much for the guest blog. My readers have loved the series, and I am glad you enjoyed it too. You also have blogs to add to your reading list! That is willpower holding off on the Christmas present!! Even I am squirming with anticipation, and I know what it is!!! Thanks for reminding me! I need to make a VS order today! I think it's such a sweet ( and australian) thing to give beer to the garbage truck guys! You are the sweetest Sydneysider ever! The doghouse clip was hilarious, I love it. I've made up a bunch of Christmas chocolates as small gifts. I wonder if the garbage men (and the postie) like chocolate? Such a lovely idea to leave them a gift, not something I'd ever thought of. Now to hope it's not raining on bin night, I'll probably forget to put it out early in the morning like you did.